Leaked photos from the set of Spider-Man: Far from Home have revealed that Peter Parker seems to be experimenting with his look. Like a number of teens his age, he’s swapped his usual outfit for something a bit more ‘gothic’, a sleek black suit – although thankfully he’s forgone the black leather trenchcoat. The pictures which were taken on location in Prague, Czech Republic, show the Wallcrawler perched on the side of a Ferris Wheel in his black underoos, blending perfectly into the night’s sky. Meanwhile, the rights to Venom belong with Sony whose studio is pushing forward with their own Spidey-less cinematic universe built around the Spider-Man’s rogue’s gallery and supporting characters. This means it’s far more likley to be something like the ‘Stealth Suit’, first introduced in the Big Time storyline, a black and green suit which can render Spider-Man invisible to his enemies’ eyes and ears. Currently, we’ve no clue what Far From Home’s about other than it will be set after Untitled Avengers Movie and will see Peter Parker (Tom Holland) ‘far from home’ as he travels across Europe. Zendaya and Jacob Batalon will both return as MJ and Ned, while Samuel L. Jackson and Cobie Smulders have also joined the cast as one-eyed badass Nick Fury and his second in command Maria Hill. 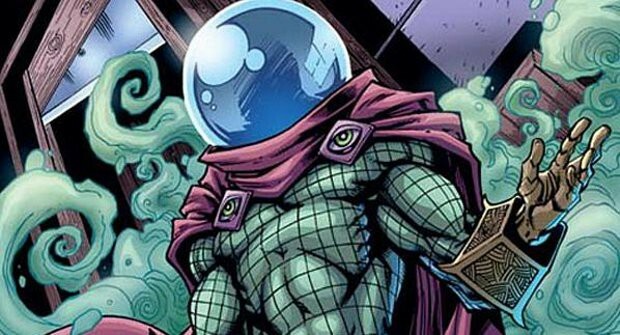 There are rumours that Jake Gyllenhaal will be playing the film’s bubble-headed villain, the master of mysticism, Mysterio. Mysterio, also known as Quentin Beck, is a disgraced special effects wizard who uses his skills to commit crimes (it’s better than it sounds) and battle the Wallcrawler. Marvel Comics/ Art by Todd Nauck. Other than that though we don’t really know that much, presumably because the film could potentially spoil the ending of the upcoming Untitled Avengers Film. With that in mind though there is one possible explanation for why Spidey’s slipped into something a bit darker, maybe he’s in mourning? According to recent rumours, Marvel fans won’t have to wait that much longer until they get their first glimpse of the highly anticipated Infinity War sequel. There are whispers that a trailer may be coming at the end of November, as that’s when the last one dropped, and it should reveal the film’s title at long last. Unless the answer was in that Russo Bros. Twitter picture and it really is ‘Endgame’. Spider-Man: Far From Home swings its way into cinemas on July 5, 2019, and Venom on October 2018. 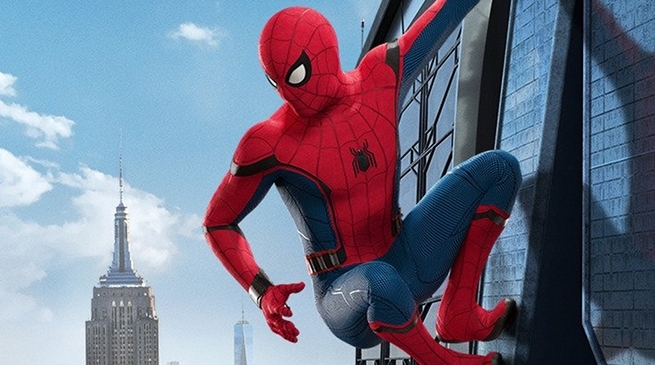 Far From Home SPOILERS: Leaked _____ suit!